If you are interested in getting started with the Arduino then I can recommend the Arduino Cookbook from O’Reilly. It takes you from the basics of setting up the programming environment right up to complete sketches. The book covers many areas including controlling LEDs, motors, and using sensors. Much of this information is available on the internet for free but it is nice to have it all compiled in to one location. This entry was posted in Arduino, General and tagged arduino, Arduino Cookbook, Books, Light-emitting diode, O'Reilly, O'Reilly Media, Shopping on 18/06/2012 by Paul. I received a gift of a Adafruit Wave shield and after assembling it using the excellent instructions on the Adafruit site I could not get it too work. The problem was the SD card would not initialize. After trying two different SD cards, checking the forums, and re-checking all my solder joints I could not get it too work. I decided to test the SD cards with an ethernet shield I also have for the Arduino. The SD cards refused to work in this shield as well. After a bit more reading I discovered that the issue was the SPI ports on my Arduino Mega are in different locations. The following fix also works for the Mega 1280. This entry was posted in Arduino, Hacking and tagged Adafruit, Adafruit Industries, arduino, Arduino Mega on 01/01/2012 by Paul. I finally got to plug in my Arduino Mega 2560 micro controller. Everything worked after I ran the sample application. I extended this slightly to blink three leds on a breadboard. Simple beginning I know but we all have to start somewhere. 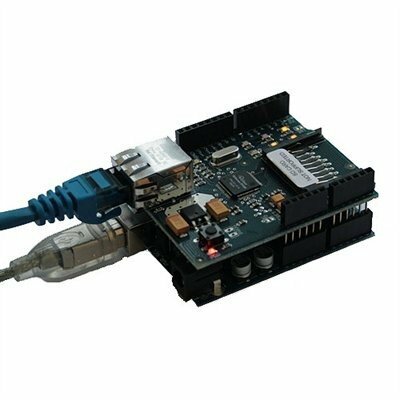 The IDE which is downloaded from the Arduino website will run on a variety of operating systems, I am using 64 bit Ubuntu Linux but it ran equally well on Windows. 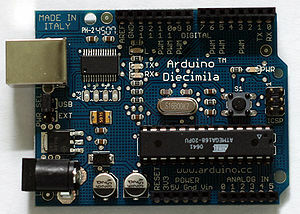 This entry was posted in Arduino, Gadgets, Hacking on 18/02/2011 by Paul.